Applied Sociology deals with the application of the sociological perspective to such institutions as marginality, mental illness, racism, educational socialization and work. 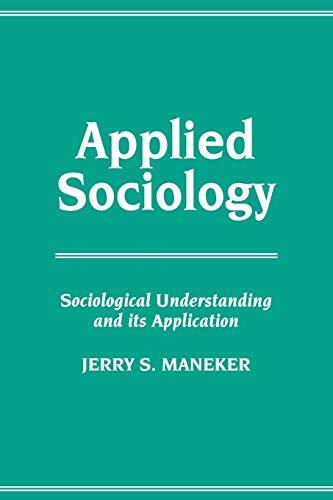 It is intended for introductory sociology students and students of social science. Jerry S. Maneker is Professor of Sociology at California State University, Chico. the Ask bookseller a question link to contact us and we'll respond within 2 business days. Address: Mayfielf HTS, OH, U.S.A.